FOR many, a long distance relationship is just an inconvenient phase that comes before a permanent move. 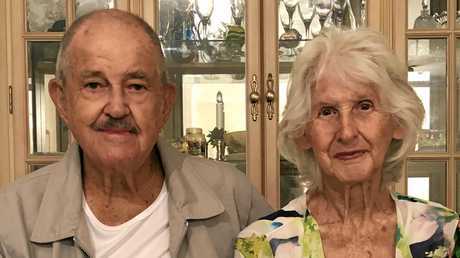 For 82-year-old Pat and 86-year-old Henry Harman, the long distance phase of their relationship came after 40 years of marriage. Next year, not only will they will celebrate 63 years of marriage, but 20 years of doing it long distance, and with that comes romantic expertise. "Communication is really important, we phone everyday and we talk a lot," Henry said. "You should take a look at my phone bill." Laughing at her husband's remark, Pat agreed that communication is key and said behind a successful relationship, there needs to be a good, solid friendship. "We get on really well and I guess absence really does make the heart grow fonder, I'm always looking forward to his visits," she said. But Pat's waiting is over for this year as Henry arrived at his wife's house in Cairns at the weekend. 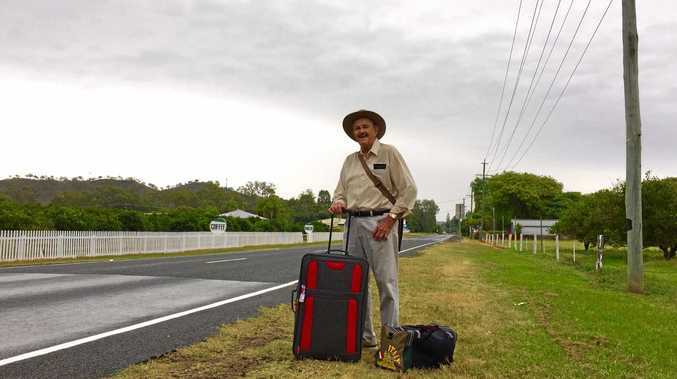 Henry lives in Gayndah, in the North Burnett where the pair met, while Pat lives almost 1500km away in tropical Cairns. Once a year Henry catches a bus to Bundaberg before embarking on a 20 hour train trip, but he doesn't mind the travelling one bit. "I used to drive up, it's only the last six years that I've been going by bus and train," he said. "I also get a lot of reading done which is great. "She's worth it, she's a wonderful person and she's a wonderful mother." Pat lives with one of their four children, Helen, who has suffered with rheumatoid arthritis since she was a child. They relocated to Cairns when they found the climate was much more forgiving on Helen's symptoms than the North Burnett was. "She's had both knees replaced, both wrists operated on and she is wheelchair bound," Henry said. 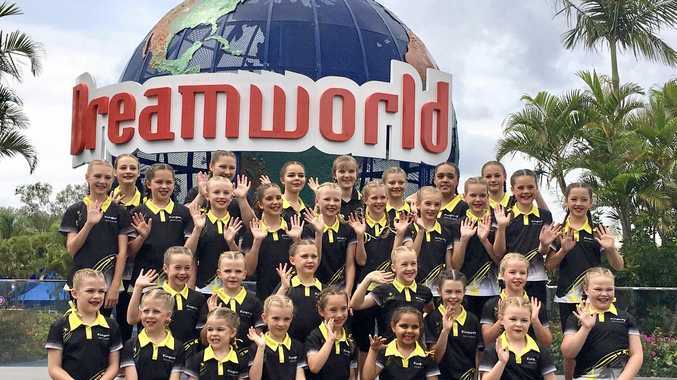 "The climate is much better in Cairns because it gets too cold here in Gayndah and it causes pain and swelling with her joints." Henry and Pat Harman have spent the last 19 years of their marriage 1,500 kilometres apart. At the time Henry helped Pat and Helen make the big move, he was still working in Mundubbera at Wallis's orchard. He did the drive up a few times and eventually caught the bus back home while they settled in. And they were never concerned about how they were going to make the long distance marriage work. "We weren't really worried at all; put it this way, we just knew things were right," Henry said. "We didn't have anything to worry about and we knew it was going to be good for Helen. "We know it's certainly not normal but it's probably just worked out better for everyone." The pair first met at a dance in Gooroolba, literally sweeping each other off their feet. "It was a great time, because we were both mad dancers and we used to go dancing every weekend," Henry said. "We had a lot of good times together, very good, and we decided 'let's get married'." Henry and Pat were married on April 7 1956 and went on to have four children, seven grandchildren and four great-grandchildren. Pat said what she liked most about Henry when they were young was that he was "a spunky guy". "My favourite thing about Henry is his charitable character, but he's still not too bad looking either," she said. Henry said the main reason he has remained in Gayndah for so long is that the family owns a block of property not far from the unit in which he lives. He has plans to eventually bridge the distance and move to Cairns, once one of their sons takes over the property. "Between that and Lions Club, I have plenty of things to get done around here," he said.